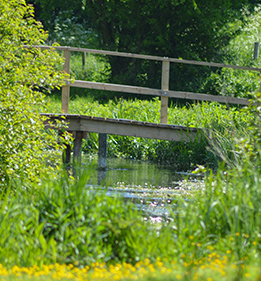 The River Kennet and its tributaries make an excellent topic for introducing many areas of the curriculum at pre-school, primary and secondary levels. Action for the River Kennet (ARK) run an exciting Trout in School project as part of the Care for the Kennet campaign. Students hatch trout eggs and raise them until the baby trout are big enough to be released into the river. The project begins at Christmas and the trout usually stay in the classroom until around March. Schools in the Kennet Catchment from Hungerford upstream are eligible to participate, and the project can be tailored for pre-school, primary and secondary students. Please contact Juliet Bonser to find out more. Care for a tank of baby eels (elvers) in the classroom for eight weeks prior to releasing them in the Kennet. Students learn about the amazing journey of eels and become an important part of their story when they release them. Numbers of European Eels have dwindled drastically in the last few decades. We are excited about adding this species to the rich tapestry of wildlife in the Kennet. An ARK project run in partnership with Thames Water. Please contact Juliet Bonser to find out more. In partnership with the Wild Trout Trust and Thames Water, Action for the River Kennet are running Mayfly in the Classroom at schools across Wiltshire this summer. Children catch mayfly larvae from their local river, build their own hatchery and then release adult mayfly back to the river. A fantastic way to learn about chalkstream habitat, life cycles of insects, river ecosystems and the importance of water to us all, this fun project is suitable for all ages. Please contact Juliet Bonser to find out more. For schools or groups who would like to explore their local river with an expert on hand to tell them more about what lives in and around it, tailored walks can be arranged through Action for the River Kennet (ARK).